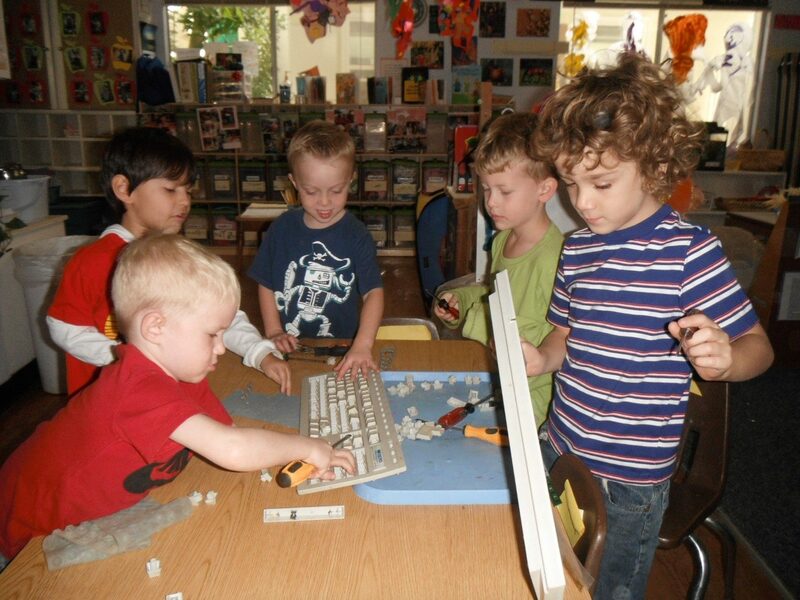 The Pre-Kindergarten class had the opportunity to disassemble and explore computer keyboards. 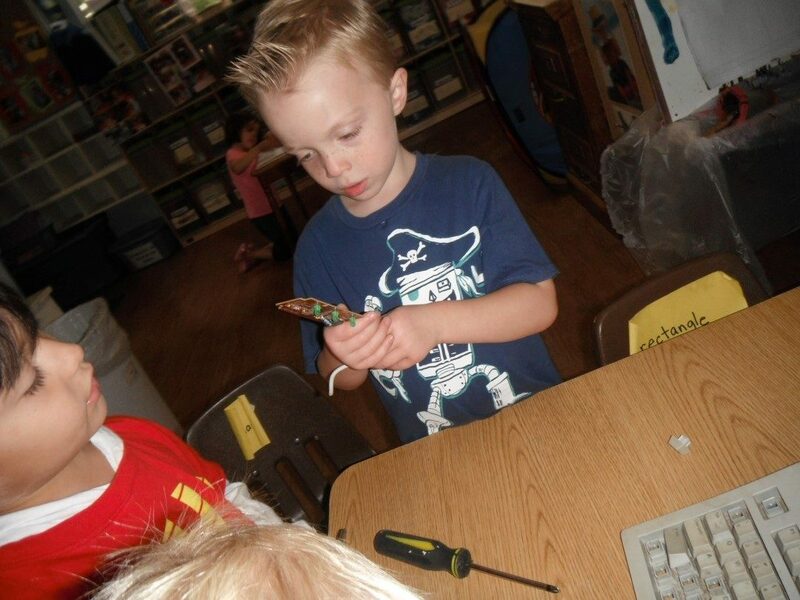 They used their fine motor skills to use screwdrivers to loosen the screws that hold the keyboards together. They also used pliers to pull individual keys out. 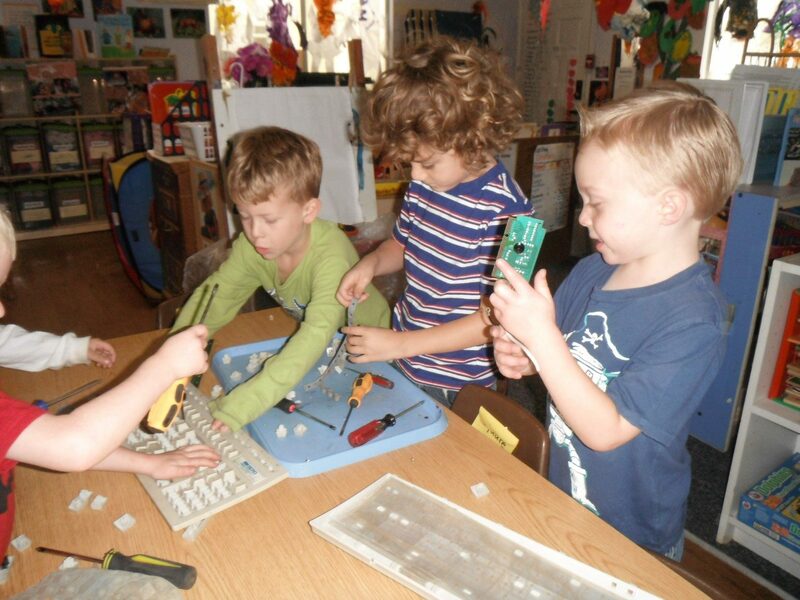 After the keyboards came apart, the children examined the pieces inside. Do we have future computer engineers at Children’s Village Preschool?